Everyone wants to help keep Boca Raton a healthy place to live, and our professionals can help make that happen with our carpet cleaning services! A clean carpet makes your home not only more pleasant to spend time in, but also a healthier place to live. When it comes to your home, carpet cleaning is one of the most important things to keep your family healthy. Just about every home has some form of carpeting, but carpet tends to come in various styles, textures and thickness. For that reason, when you’re trying to clean your carpet more thoroughly, a vacuum may not get the job done effectively. Yes, a vacuum will clean the surface of the carpet, but how effectively will it clean the middle and lower areas of the carpet? This is where deep cleaning comes into the picture. At some point in time, your home’s carpet will become a haven for dirt, grease, dust and grime. In other words, your shoes will deposit these dirty components into your carpet on a daily basis. Unlike vacuum cleaning, deep cleaning your carpet will get down to the root of the issue. This is why hiring a professional service like ours is so important: Professional cleaning agents are used to effectively remove all of the grime, including allergens, dust mites, bug droppings and mold spores. Deep cleaning your carpet will also most definitely extend its lifespan. Dirt and sand granules can cause friction when someone walks across the floor, and the carpet fibers will slowly begin to break down as a result. Homeowners should deep clean their carpet at least once or twice per year, which helps to improve the air quality in your home as well as preserving your carpet. Steam cleaning is another great way to clean your carpet and flooring. This is an eco-friendly way of turning tap water into a superior cleaning agent. Steam cleaning can be used on all types of flooring, including carpet, hardwood, vinyl and tile. The heat and pressure capacity of steam will penetrate deep into the grooves of the surface, which will effectively remove grease, grime, mud, dirt, mold bacteria and germs. Steam cleaning can be used without harsh chemicals, which is another plus. It can also be used on fabrics and household upholstery. This is a great way of ridding your home of nasty odors and stains. 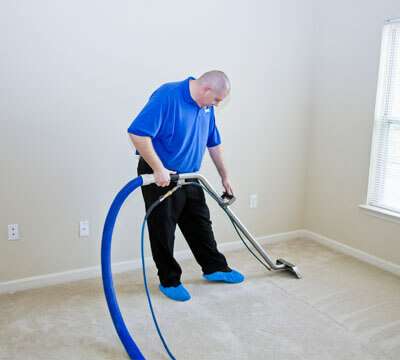 For the most effective cleaning, seeking professional carpet cleaning services is the best route to take. If you live in Boca Raton, contact us today for a cleaner carpet! We also provide other services such as tile & grout cleaning, upholstery cleaning, water restoration and area rug cleaning. You can always count on Champion Carpet Cleaning and Restoration to get the job done right! Don’t Trust Us? Read Some Reviews! Working with Champion Carpet Cleaning and Restoration is hassle-free. Click here to get started on your free carpet cleaning estimate in Boca Raton.